I was created in Hawaii but born and raised in Eugene. Before joining Essex I worked for a global company selling bearings to everyone from a local guy with a rototiller to a large cruise ship in the Caribbean. When the timber industry was scaled back so was my job. Since my dad was in construction, he knew several Essex staff, and through that grapevine learned that Essex was looking for a shop person. I submitted an application and was hired the next day. My official title at Essex is Expediter. My expertise is in tools. I supply our job sites with anything from a drill bit to a load of lumber. I need to be qualified to use every piece of equipment we own including safety gear, and I also know how to fix these tools. I oversee some of the building maintenance and I’m Essex Master Recycler, working closely with Jodi Sommers. It’s my business to know all the recycling ins and outs. Sustainability is an important company value, and I make sure our actions reflect that. It’s important to me to help fulfill that part of our mission. I’ve become a better person because of Essex. When I’m not working I spend time at a cabin I own by Crescent Lake. 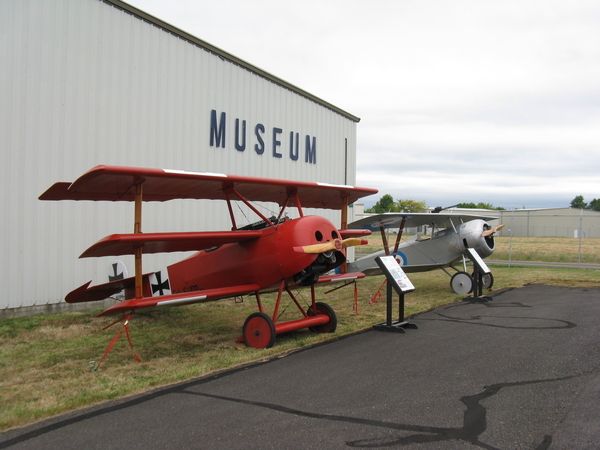 I’m involved with the Oregon Air & Space Museum and serve on their board. Airplanes are a passion of mine. I ‘ve been married since 1984, have two daughters who are successful in life, and I’m happy grandfather.